America has been bouncing between interventionist and isolationist policies when embracing international relations, but foreign policy is not a binary option. America must acknowledge how the world objectively is and handle situations with pragmatic judgment rather than a cookie cutter standard. WASHINGTON — Republican Texas Sen. Ted Cruz argued on Wednesday that foreign policy must be crafted based solely on America’s national interest and not on policy prescriptions of either interventionists or isolationists. Cruz explained that throughout the last few decades, American policy has been “a tug-of-war between intervention and isolation.” Most recently, the Sept. 11 terrorist attacks paved the way for interventionist policies to surge to the forefront. However, the many implementation failures and disastrous missteps associated with such policies have springboarded a resurgence of isolationism. He further noted that “Uncle Sam has developed a bad habit of attempting to topple dictators who are killing terrorists, only to have them replaced by terrorists who kill Americans,” which consequently enabled a renewed aversion to the once dominant interventionist strategies. “A national examination of conscience is a good thing, but we should not rush into the arms of isolationists as if it were a reasonable alternative to intervention, as if our only choices are to bomb the world into democracy or ignore the world into peace,” Cruz said. 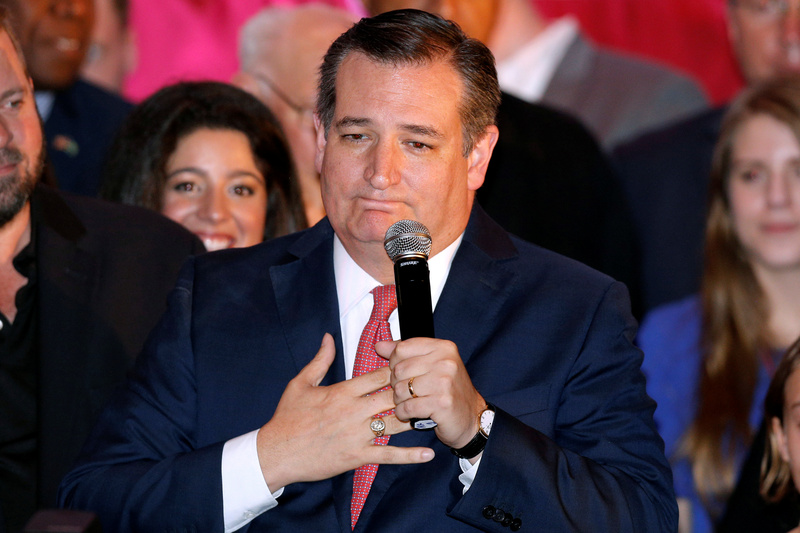 Stressing the importance of a pragmatic approach to foreign policy implementation, Cruz illustrated the variety of tools stocked within America’s war chest. First, in the hierarchy of solutions, America has its voice, the bully pulpit of the United States. “Just because you may not be prepared to send in the Marines doesn’t mean America should be silenced in the face of human rights abuses and injustices,” Cruz explained. Finally as a last resort, national interest can be secured through military force, both targeted and overwhelming. The former may be necessary with terroristic regimes, while the latter, which he added “should be used very, very rarely,” needs to be the standard if America is called to direct military conflicts.